A proposed residential development by Suria Permas Sdn. Bhd. at Bayan Lepas. 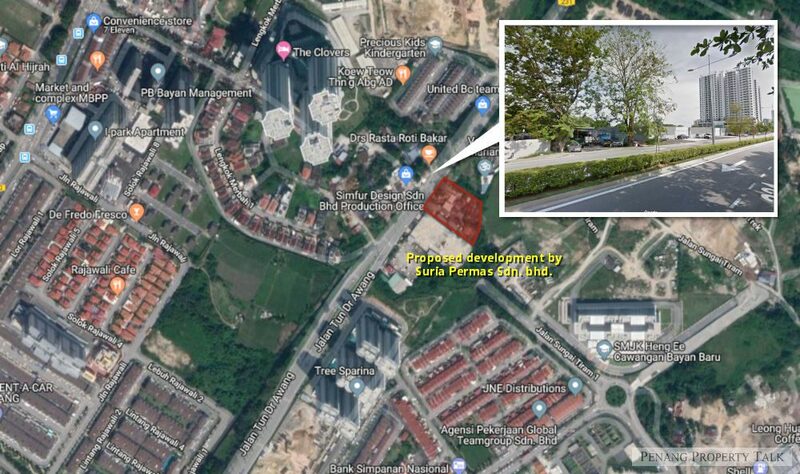 Located on a small plot of land measuring approximately 1.3-acre along Jalan Tun Dr. Awang, just a stone’s throw away from Ideal Vision Park development scheme. Neighboring communities include South Homes, The Clovers, Tree Sparina, and the upcoming Sunsuri Residences and Maldives Residences. Heng Ee Secondary School (Bayan Baru Branch) is within 5 minutes walking distance. This development will feature a 28-storey serviced apartment offering 198 residential units with two different layout types and rooftop garden. The project is still pending for approval. More details to be available upon official launch. Developer : Suria Permas Sdn. Bhd.